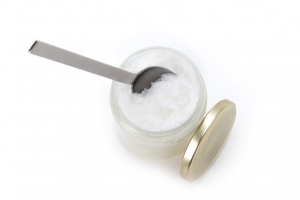 A 2015 study published in the Nigeria Medical Journal looked at the effect of "oil pulling" with coconut oil on plaque formation and plaque induced gingivitis. The study was conducted in the Department of Pedodontics and Preventive Dentistry, Kannur Dental College, in Kerala, India. Oil pulling is a technique that has become popular where one takes a spoonful of coconut oil and swishes it around in their mouth (without swallowing) for 15 minutes or so. Many health benefits are claimed from following such a practice, but so far published research has only documented the dental benefits. Even "mainstream" dentists in the United States are reporting benefits they are seeing in their patient's dental health among those who regularly practice oil pulling. This article is very informative. I do have a sensitive tooth that's why I am really excited reading articles like this. I'll try applying this one to avoid having gingivitis and to decrease the chances of having plaque. A must try at home.